An iOS file manager or a file browser is an app for the iOS devices that enables you to perform operations on files and folders stored in your device. These operations include creating new files or removing an existing one, searching, renaming, copying and editing. The best iOS file managers for iOS 12 display all files in a hierarchical manner based on their name or directory structure. Temporary and junk files – These are downloaded from the internet while browsing, and no other app can identify their existence. With a file manager, these are viewable and can be removed accordingly. iPhone App data and caches – All apps on the iOS platform make use of the cache memory for faster access and easy run. In the process, they consume unnecessary space. App caches and “Document and Data” can be viewed and cleared by file manager. Media files – With the best iOS 12 file managers, you can manage and view all your media files at once. A gallery app will not display songs while a video player won’t display images. Seldom use apps – Apps that are hardly used can be identified and removed with a file manager. This enhances device memory and makes it faster. 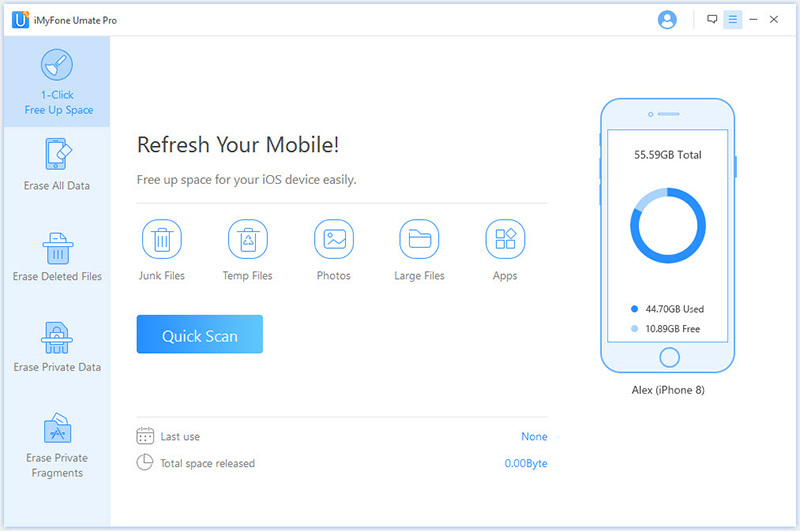 Apart from these benefits, the best iOS file managers come with cloud backup facilities that enable users to store every data in the cloud and save phone memory. Very few file managers combine all the essential features. Also, an iOS 12 file manager must come with the support of almost all available file formats simultaneously consuming less device space. Here are the 3 file managers that feature in the best iOS file manager list that is gaining popularity. Secure cleaning of 30+ hidden junk and temporary files without deleting any important personal data. Compression of iPhone photos for well management with auto backup for original photos on PC. Managing large videos by listing all iPhone videos for you to preview, select and delete. Transferring photos and videos from iPhone to PC for media file management. Listing all Apps installed in your iPhone, so you can remove all your unwanted Apps in 1-click. Erasing deleted files to keep your iPhone clean and avoid privacy leak, including deleted messages, photos, videos, WhatsApp messages & attachments etc. Detecting all your private data for permanent erasure, the erased data cannot be recovered by any data recovery software. The makers claim this app to be the most powerful among all other iOS file master for iOS 12. It allows you to view and edit files along with options for playing audio and video with playback features. It also comes with password protection for individual folders and the app itself. It comes with multi-language support and requires 47.7 MB of device space. FileMaster is compatible with devices running iOS 5.1.1 or higher and hence can operate on older versions of iPhones as well. 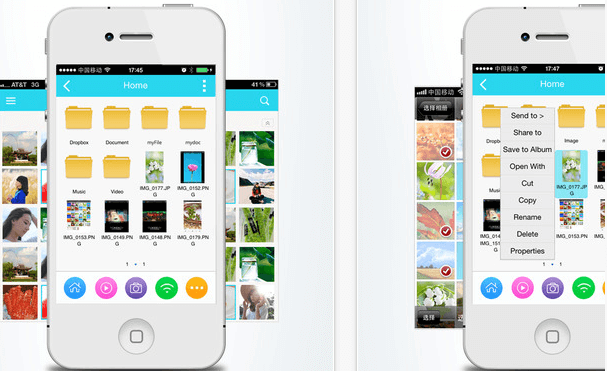 This app also based on iCloud Drive and is one among the best iOS file manager. It claims to support over 40 different file formats, among which 20 of them are edible. It comes with a touch-based gesture control and makes the app easy to operate and provides sync with all other iOS devices. Mach Drive utilises only 12.8 MB of device memory and comes with a powerful PDF editor, pinch zoom facility, and offline audio spectrum visualizer.